Incat vessels have been utilised in a range of military applications, and the commercial off the shelf technology can provide economic, efficient and effective commercial platforms that interest defence forces which understand the need for new ways to achieve results. The Incat platform offers fast transit, fast turnaround in port, and the shallow draft and optional ramp arrangements can significantly increase access to austere ports. Flexibility and versatility in vehicle deck layout, plus optional helicopter decks and hangars increase mission options. The wide beam and other design aspects improve passenger comfort and crew accommodation, medical and other facilities can be installed for specific requirements. Minimal crewing numbers and reliable economic operation assist with ongoing budget considerations. 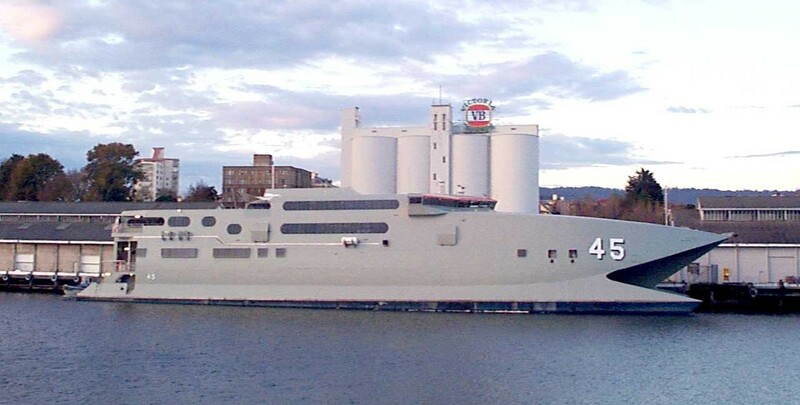 In 1999 the Royal Australian Navy chartered an Incat 86 metre vessel for use during the East Timor crisis. As HMAS Jervis Bay she completed over 100 trips between Darwin and Dili, transporting personnel and equipment. With average speeds of 40 knots, the craft completed the 900 nautical mile return trip from Darwin to East Timor in less than 24 hours. 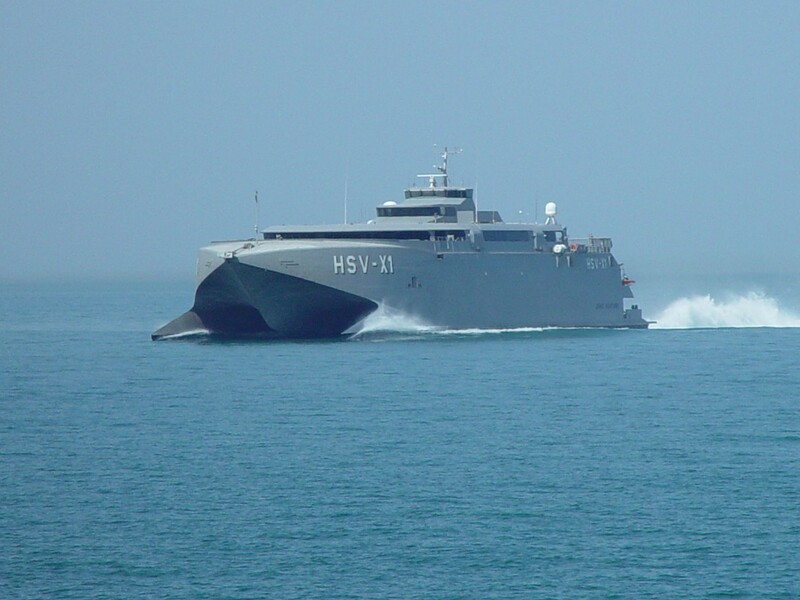 During this time the vessel seized the attention of the US military, enabling them to witness the potential of high speed craft to perform various military roles. 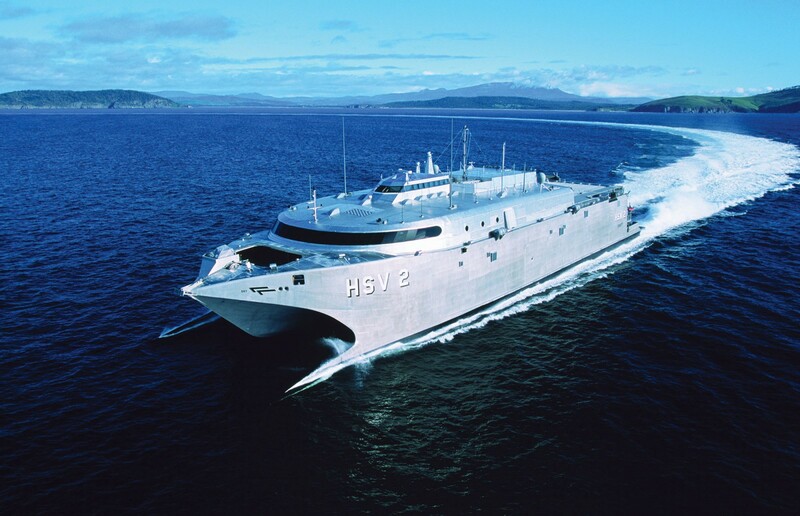 As a result, in 2001 joint forces from the US military awarded Bollinger / Incat USA the charter contract of Incat 96 metre HSV X1 Joint Venture. The success of Joint Venture led to more charter contracts. 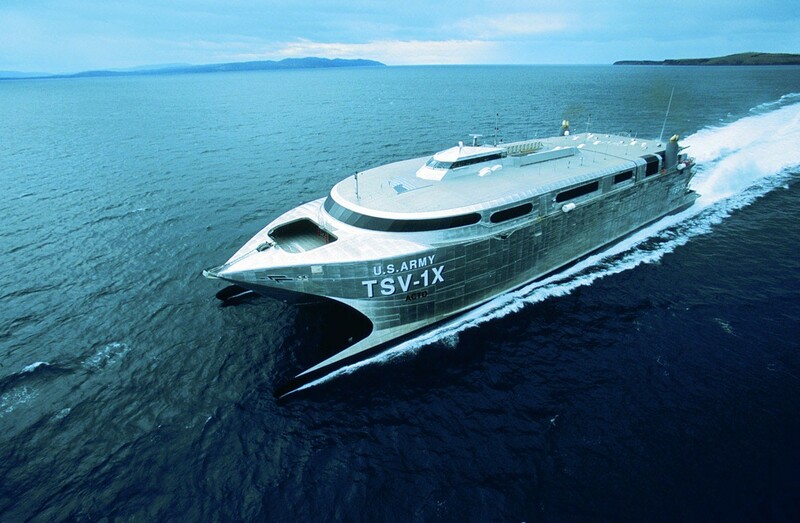 The 98m TSV-1X Spearhead in 2002, and HSV 2 Swift in 2003. All three vessels have displayed their excellence in humanitarian roles, including Swift’s major role in Hurricane Katrina, often responding on short notice to meet the needs of disaster relief efforts. The ships became the military benchmarks for future fast sealift acquisitions due to the high operational speed, long range deployment capabilities, combined with a high deadweight capacity. The Japanese Defence Forces have also utilised Incat high-speed catamarans in relief operations.